This is definitely one for those Hallowe'en parties! 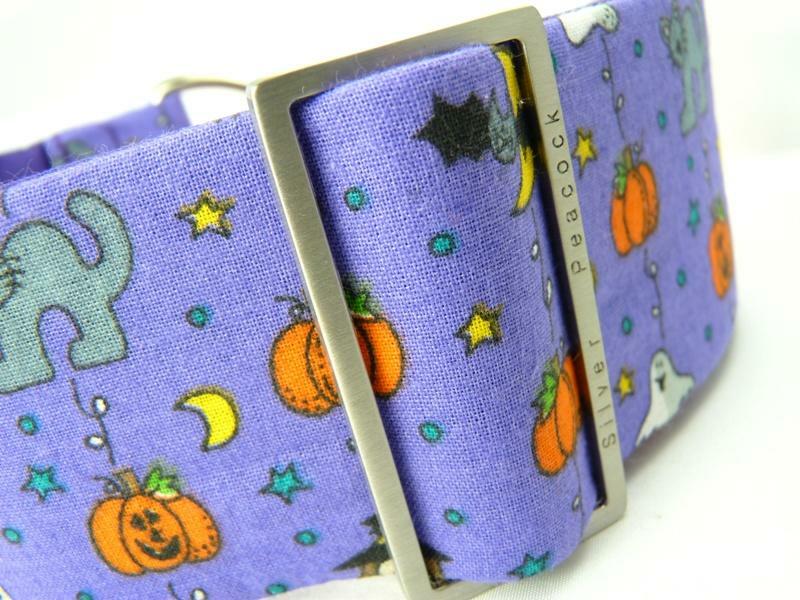 A fun and cheeky twist on all the Hallowe'en favourites - witches, pumpkins, ghosts, cats and bats all decorate this lovely mauve purple cotton fabric. 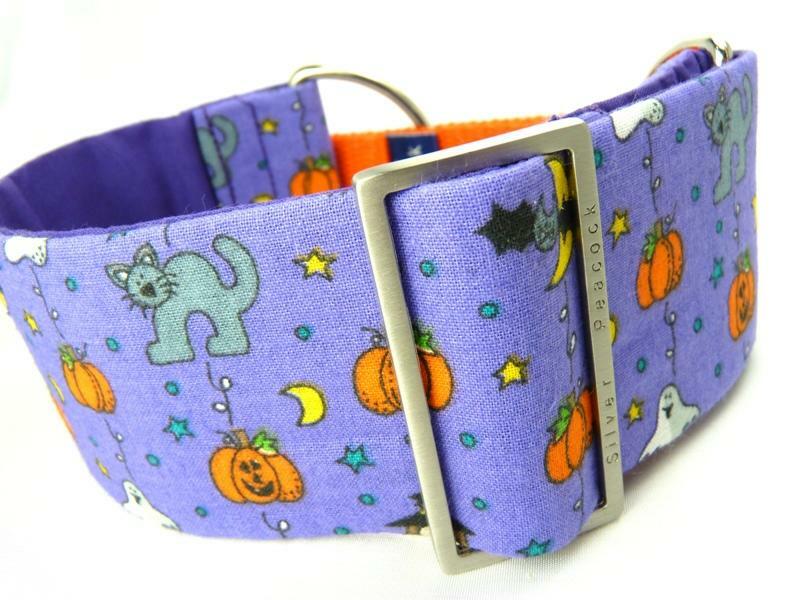 The collar is lined in purple fabric and is finished with robust silver coloured hardware, the martingale has a co-ordinating orange webbing section.